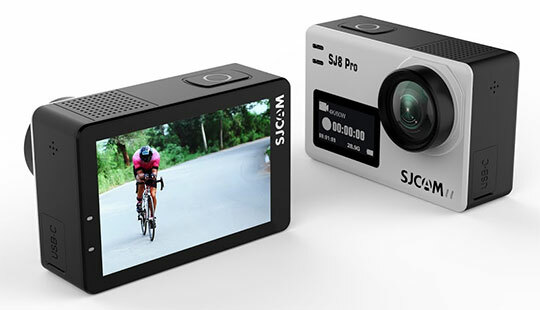 SJCAM SJ8 Pro features an ultra HD display of 370PPI that offers extremely sharp and crystal clear images. 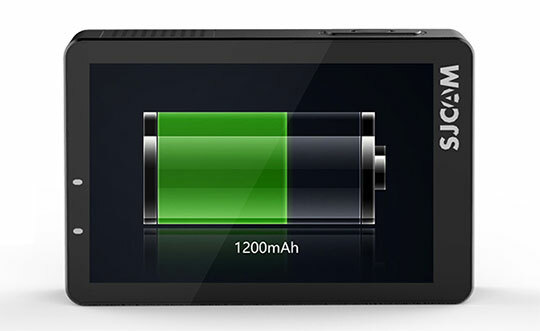 The device boasts its dual screen with a resolution of 360 x 640. This masterpiece comes with a screen size of 2.33 inches, where the front screen is of 0.96 inches. It features two glass spherical lenses that brag about the unique specification of 170 degrees 7G. The 4K/60fps configuration makes sure that images are pretty clear and video shooting goes very smooth. Recommended for you: HUAWEI P20 Pro Smartphone Feature Review – All You Need to Know. SJCAM SJ8 Pro brags about Ambarella H22 Chipset and EIS stabilization. It also features Type-C interface and lossless compression. The 12 megapixels camera along with 8x digital zoom is what lets it stand out among other cameras available in the similar price range. It comes with several useful applications such as Extreme sports, Bike, Aerial, Underwater and Ski photography. 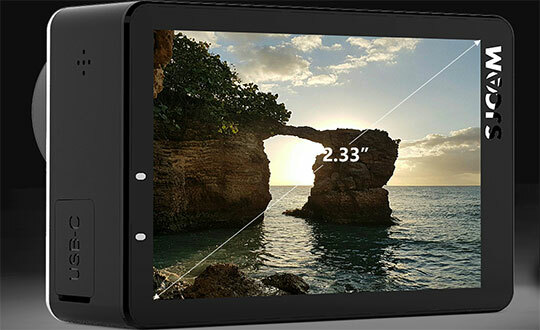 It features a modern version of the 4K camera and possesses several useful features such as Wi-Fi, Waterproof and GPS. As it is a camera of today’s generation, you will definitely find common functions like Anti-shake, Remote control, and Camera Timer. It is a water-resistant device that can survive with a waterproof case under 30m of water. 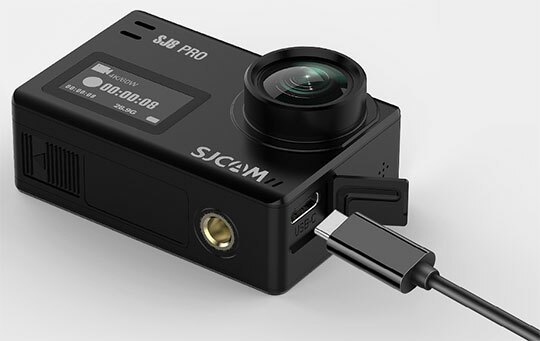 SJCAM SJ8 Pro captures images and videos in JPG and MP4 format respectively. The double UI interface allows the user to switch between classical and iOS-style very easily. The camera possesses 2.4GHz/5GHz transmission. The ‘SJCAM’ app lets the user share videos and images with any other user without any interruption. It also comes with gyro stabilization and easily supports external microphone. It is a camera in which you can store any number of images and videos, courtesy to its awesome storage that can be extended up to 32 GB with Micro SD card. When it comes to managing the display, there are more than 15 languages to choose from that will make your job extremely easy. SJCAM SJ8 Pro is powered with a removable Li-ion battery of 1200mAh that is capable of producing 5V2A power. The battery takes around 2 hours for complete charging which lasts for approximately 90 mins when operated in 4K/60fps mode. The weight of the entire package is 0.6500 kg. It comes with a size of 10.04 x 5.31 x 2.76 (L x W x H) inches. On the other hand, the weight of the product is 0.0850 kg. It comes with a size of 2.46 x 1.61 x 1.13 (L x W x H) inches. 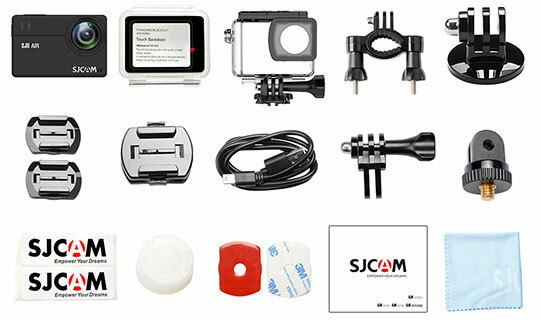 The package contains SJ8 Pro Action Camera along with screw and Mount. You will get one frame, two mounts, two base, one handlebar mount, three connectors with screws, one USB cable and one tripod adapter. All this list of content makes sure that a user can easily capture some quality pictures of his life without any internal or external interruption. You may also like: The New ASUS ZENFONE 5 (ZE620KL) Smartphone Feature Review. 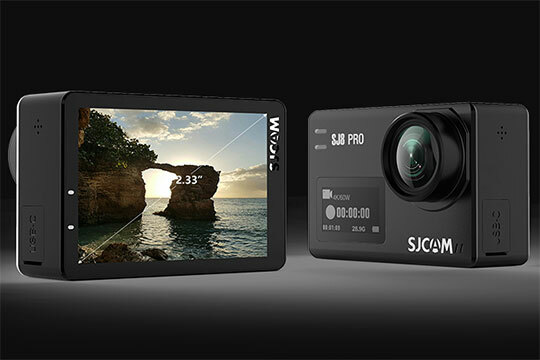 After going through all the features mentioned above, we can say that SJCAM SJ8 Pro is an ideal choice for people who love doing photography while diving and swimming. If you are a highly extrovert person and always keep yourself busy in outdoor sports then this camera is for you. It is very lightweight which makes it very easy to carry when you are going out for travel. 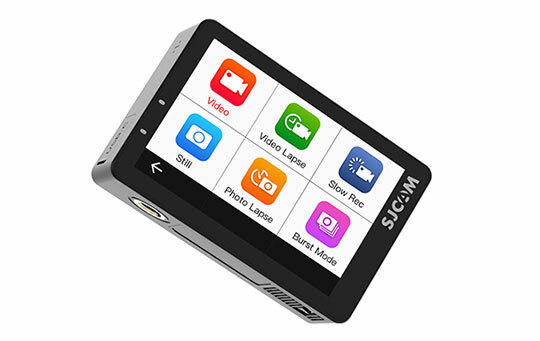 If you are planning to purchase a smart camera in coming time then simply glance through the above-mentioned features of SJCAM SJ8 Pro that will make your decision pretty easy. SJCAM SJ8 Pro is an ideal choice for people who love doing photography while diving and swimming. If you are a highly extrovert person and always keep yourself busy in outdoor sports then this camera is for you.